I bought my vegetables at the market, and the woman greeted me friendly with: Ajmo ljepotice, vidimo se! Language learning is a real challenge, not only because of the differences between Serbian or Croatian words, which definitely adds to the complexity of learning, but because I feel often like a toddler, stumbling to get my words out. Language learning is a humbling, incarnational, painful kind of birth process. It makes me feel extremely vulnerable at times as well as lost and fragile. On one of those days, I went to the market, which offers the best language practice for me. The older generation does often not speak English, so I am forced to speak Croatian. On this particular day, I was lacking in sleep and felt fragile without the added language part already. Daily learning goes the best when we build in some rhythm. In the weeks that there is not too much travelling, we do have a pretty good routine. Homeschooling is not really in the backbones of Dutch people as it is not possible in the Netherlands. So, we tend towards a rather school-routine way of homeschooling, which seems to work the best for us. Laurens goes to a local school. He has to start at 7:45. Jelle brings him on his bike. The girls go in the meantime to the library, where they do school. Jelle starts the day with the girls, and around 10:00 we switch. By that time, I have managed to do a few things around the house to keep everything running. After 10:00, we have part two of the day—Jelle begins his work, and I join the girls. 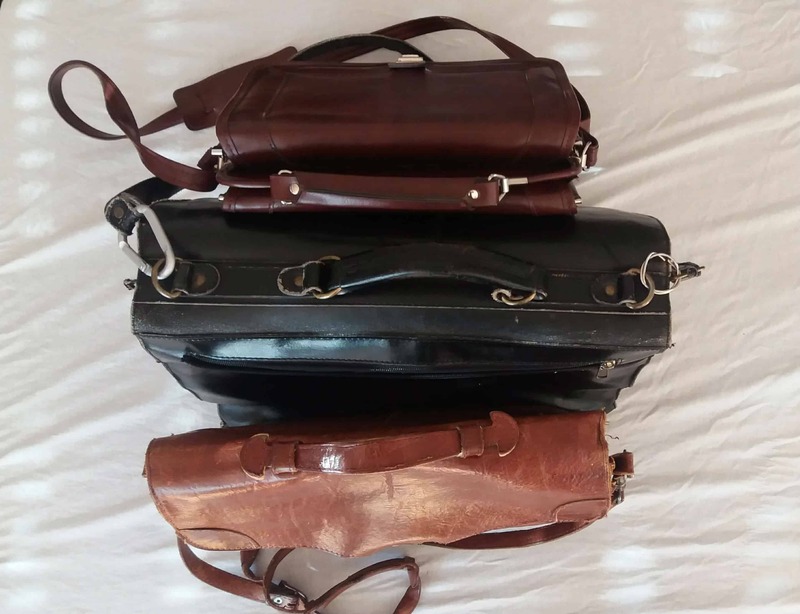 School bags with style—one of them is mine, bought with my first pocket money 25 years ago. Judith is using it daily now. I could never have imagined that I would start to enjoy something like homeschooling as it is very far out of my comfort zone. It is definitely a learning process. But, it is precious how you can learn to be in tune with each other as a family—working in silence, everyone on their own subject, and yet together. It is incomparable with regular school. Of course, there is stuff in common: the books, the tests. But, the ownership is now your very own responsibility. You can have a lazy day or two, leave one subject for a bit, but at some point, you have to pull yourself together and discipline yourself in going on. Hopefully, this is a tool from which we all can benefit for the rest of our lives. The books and school routine are just single parts of learning. I was reminded of that when the girls were invited on a trip to Zagreb for a youth meeting. Everyone got to sleep in a family home, and they came home with many stories. Marijke and Femke slept at the house of a widow. She had been married to a Methodist pastor, who came to Yugoslavia during communism. The girls got some insight into how it was for a Christian family to live through these times. The mother had to work, but that was impossible to find because the father had the wrong job and therefore not the right people in his network. Because of that, they moved to England; after communism collapsed, the family moved back, but they entered straight into the war and earned many more stories to tell (although they are not mine to share at this time). In short, the girls got some insight into things they know from theory: communism; life. war; difficult times in which to be a Christian. But, it all came alive with the stories of their friendly host, who was willing to share her story. This is what made me think: What is learning, exactly? Taking your tests? Getting your grades? Of course, it is very helpful to get a diploma. Learning is a humbling, stumbling process. Agony and fear are often daily companions on this journey. But, maybe we learn more implicitly from the people around us—somebody at the market or a brave woman who lived through very hard times. This woman at the market who said, “Ajmo ljepotica!” encouraged me in a way she was probably hardly aware of. She gave me just the encouragement I needed that day. Sweet words are like honey for the soul. And the widow of the Methodist pastor, who lived in Yugoslavia during communism, helped us to see that our daily life is incomparable with what they faced in those times. Do you know anybody who you would like to ask a few questions about a certain time period or place they have been? Have you faced, or are you facing, a difficult (or beautiful) period? Did you learn something from it? What would you not have learned if you did not face it? Try to write it down. Dear Janneke, thank you for this blog post my daughter (the younger one) and I enjoyed it so much! Happy learning and Happy Christmas! Dear Alana, Miss you! It would be nice to have a Christmas Breakfast at your house, for praying moms. Now we will do with Sweet Memories.! Blessings to you all too.